Hello! 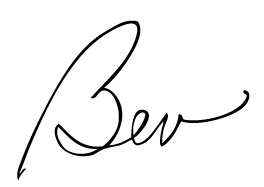 It’s Bev here for our Must Have Craft Tips post – and we’re working on organization this month! One of the areas I really need to work on in December is gift tracking. I have the hardest time remembering what I’ve given from one year to the next! If you’re in the same boat – I have some great tips this week for organizing and keeping track of gifts! 1 – Organize who you are buying for. It’s tough to shop and find the right thing if you don’t go in with a list of recipients. It’s so easy to get caught up in the fun of buying, and forget to get something for everyone on your list! Don’t forget to mark off when they are wrapped too! 3 – Don’t forget stocking stuffers! (something I always leave until the last minute!) If you’ve got a handy printable you can check items off as your out shopping and get it finished early. 4 – Stay on budget! Keeping track of what you’re buying lets you know when you’ve reached the budget for each person. 5 – Don’t lose those online orders. With all the online shopping we do, it’s sometimes tricky to keep track of what we’ve ordered, and from where! 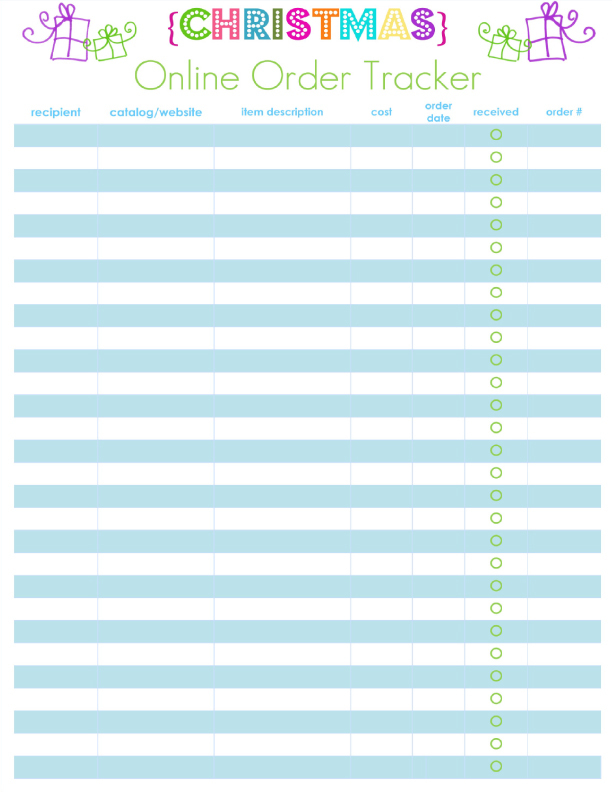 This handy printable gives you a place to keep track of what you’ve ordered and when it’s arriving! 6 – Don’t forget about Handmade Gifts! 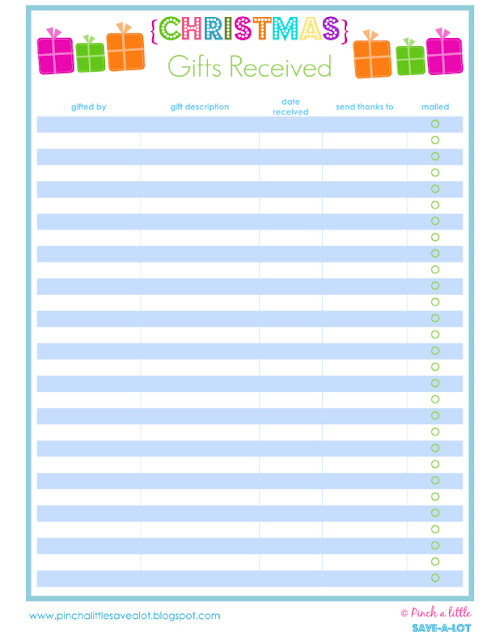 These cute printables keep gift ideas handy and give you a spot for listing supplies you need too! 7 – Find just the right gift! 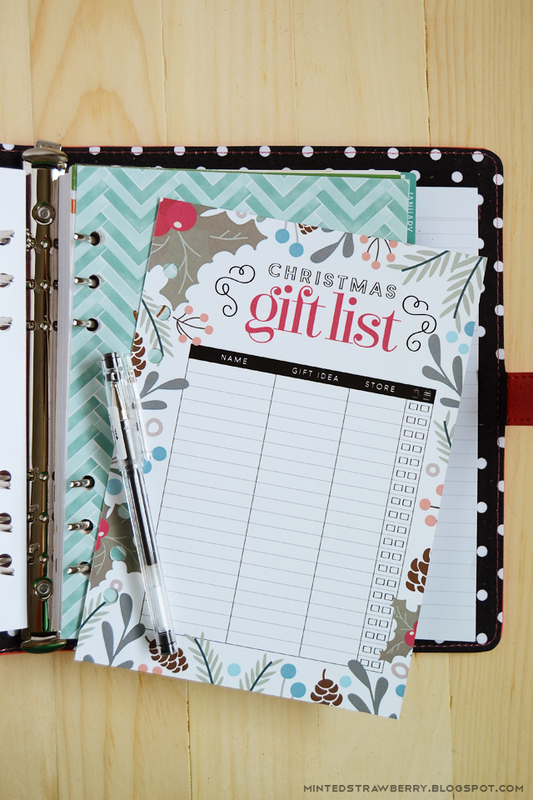 If you’re not sure what to buy, this cute little Gift Wish list is a great way to get ideas! I love that it’s more than just a list of things they want, it’s a great way to get to know their likes and activities, so you can really get creative! 8 – Don’t forget to say Thanks! 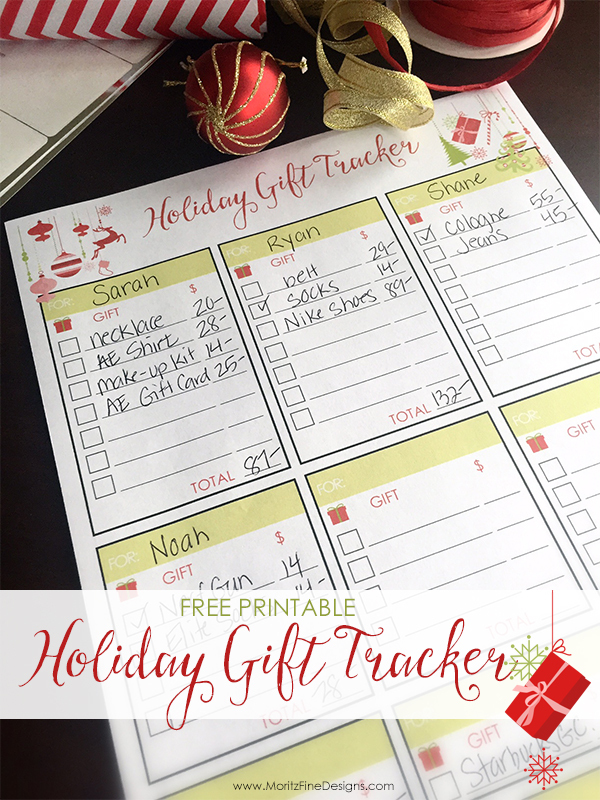 This Christmas Gift Received List is a great way to keep track of who received what, and if you’ve sent out thank you notes! This is especially great if you have big families opening gifts all at once. It can be a little tough to remember who gave what! 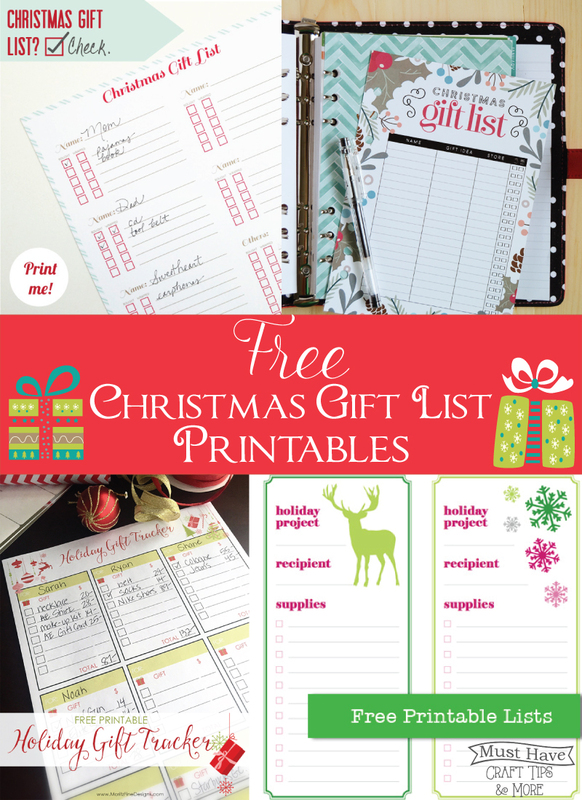 I hope these lists help you organize your gift buying and budget! I know they’re going to be a big help to me! The one thing most of these things have in common is that they don’t have a column for where you put it. This would be especially useful if you pick things up during the year when you see something that is perfect for someone on your list. Haha that is so true Sue!! I could definitely use a spot for keeping track of gift locations! 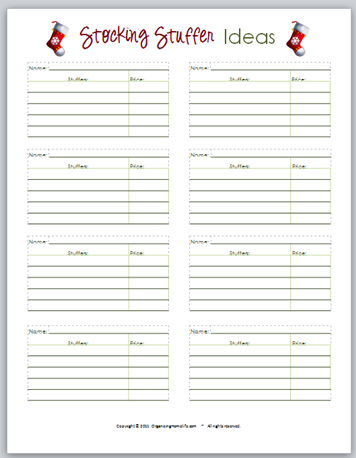 So many of these are being printed right now, thank you for coming up with so many cute and fun ways to keep organized. I printed enough of several of these pages for all 4 of our kids to fill in-even our 20/16/13 year old will be participating . For me, I’m going to use these as memory pages, ways for them to one day see what they were into or who got them what. I don’t see anyone doing these sorts of things anymore, kids hit age 4/5 and all this all takes a backseat. Thanks again! 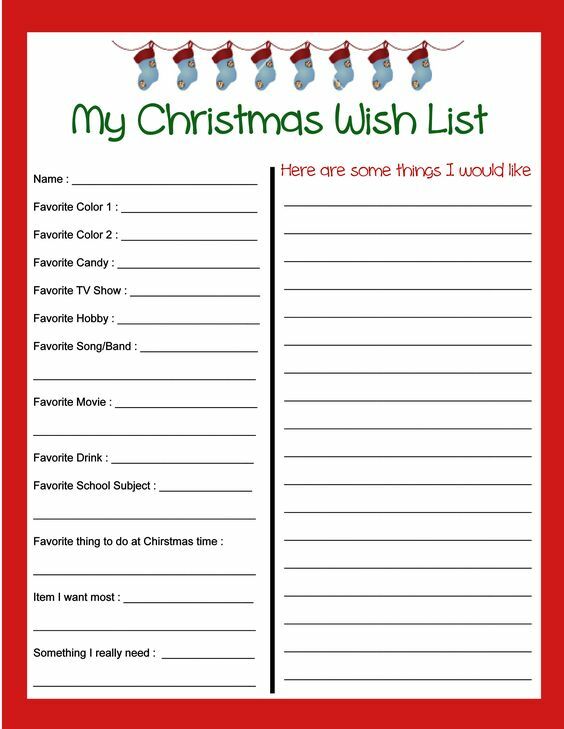 Cute lists for keeping organized for the holidays. My problem would be – where did I put it. These are super cute! I love lists and organizing, but my Christmas shopping is something that is never organized well. Too many things going on during the holidays, I guess. I am going to print some of these and put them away to use next year. Thanks!